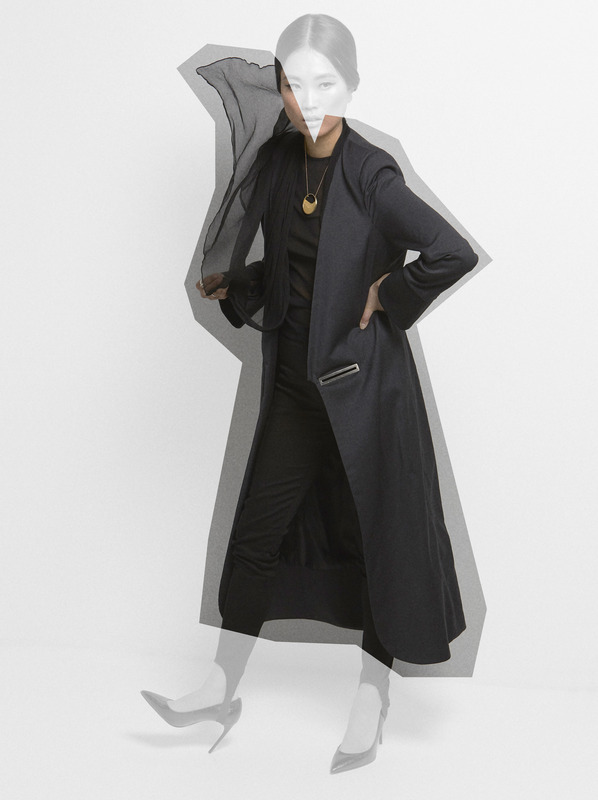 Organic cool wool grey light coat with black cuffs and oversized organic silk neck scarf. Precise asymmetrical lines, crisp craftsmanship and its signature metal buckle. All Sidikai pieces have a Zero-Waste oriented design, are made with sustainable fabrics and manufactured locally in Spain. Organic cool wool.Organic silk muslin collar.Nickel based buckle. We love their fearless attitude to incorporating sustainable design and production practices. One of their mantras is “ there is nothing less sustainable than something ugly.” Their use of strong, monochromatic lines, smoky colours and interweaving of sustainable hemp, silk and wool make this a brand strong on both ethics and aesthetics. Sidikai was founded by two sisters in Madrid in order to blur the lines between sustainability, fashion and business, to prove that such an approach can be desirable and successful. Sidikai is at the forefront of sustainable fashion. They believe that every piece of clothing created it an act of creation or destruction, and they call on their customers to choose consciously, and only buy clothes that are made from sustainable fabrics, they rally against fast fashion, and create their pieces to last; not only do they account for the conception of their design, but also how it ages. Their production is small batch, made-to-order and produced locally in Spain. Although their message is strong and direct, their advice on how we can achieve a sustainable wardrobe is both considerate, and achievable: buy one sustainable piece at a time, as you need it. Their take on the classic blazer. Metal detailing sets this piece apart from other jackets.